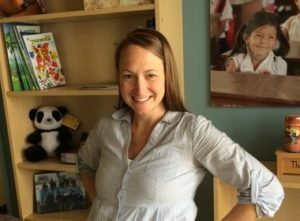 Megan Huchko, MD, MPH, has a dual appointment as an associate professor in the department of obstetrics & gynecology and the Duke Global Health Institute. Upon coming to Duke, Dr. Huchko started the Center for Global Reproductive Health to increase research collaborations and educational opportunities. Dr. Huchko, who earned her bachelor’s degree at Duke, completed medical school at the Albert Einstein College of Medicine and residency training at the Columbia Presbyterian Medical Center. Prior to coming to Duke, she was an associate professor of medicine at the University of California, San Francisco, where she completed her fellowship in reproductive infectious disease and joined the faculty in 2009. She practices as an OB/GYN generalist and specializes in cervical cancer prevention through her clinical work and global women’s health research. Stacey Dixson, M.Ed. joined the Center in February 2019 as the Research Program Manager. She has extensive experience in program design, evaluation and management in the areas of early literacy, early child development and girls’ education. Stacey began her career as a legislative aid in Washington, DC and has since worked with multiple NGOs on programs in Africa and Asia, including the International Justice Mission, Save the Children, FHI 360 and Room to Read, as well as with UNICEF in South Sudan. Stacey holds an M.Ed from Harvard University and a B.A. from UNC Chapel Hill. She will be leading the strategic development and coordinating the research portfolio for the Center. Yujung Choi, M.Sc., is the Center for Global Reproductive Health’s research coordinator. Ms. Choi assists with a cluster-randomized trial in western Kenya on cervical cancer screening and treatment strategies. 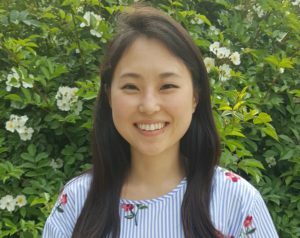 Yujung is a recent graduate of the Duke Global Health Master’s program, during which she examined caregivers’ readiness to disclose HIV serostatus to their children. Ms. Otewa is currently the Center for Global Reproductive Health Study Coordinator. Ms. Otewa has extensive experience in teaching and research. She previously worked at the CDC supporting clinical vaccine trials as the Community Liaison Officer. The remit of her work was to coordinate community engagement for a collaborative public research program implemented by the organization. Further she coordinated two studies at RCTP-FACES. Ms. Otewa holds a BSc in Nutrition and a Master’s in Educational Administration from the University of Eastern Africa Baraton. 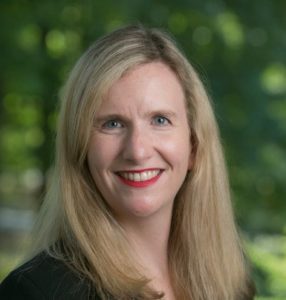 Amy Finnegan is a social demographer whose work focuses on health behavior change communication in low-income settings and how the results of this research can feed into policy design and implementation. She received her PhD from the Sanford School of Public Policy at Duke University in 2016 and has been a Postdoctoral Associate at DGHI working with Eric Green since 2016; she also supports the Evidence Lab on impact modeling of social innovations. Her research has examined health behavior change in the domains of maternal and child health, reproductive behaviors, pediatric HIV disclosure, and parenting behaviors around harsh punishment. Within these domains, she has examined several relationships – within family social networks, community-level interventions, parents and their young and adolescent children and societal norms around timing of reproductive choices. She has taken on a number of empirical approaches in her work including randomized controlled trials, observational, population representative primary and secondary data, and qualitative analysis. She has worked in Zimbabwe, Liberia, Indonesia, Guatemala and Jordan. Her work has been supported by the NIH, the Information Initiative at Duke University, the Graduate School at Duke University and the Critical Languages Scholarship (CLS) from the US Department of State. Kelly Hunter is a James B. Duke Fellow, a Kenan Institute for Ethics Graduate Fellow, and a graduate student in the joint PhD program in Public Policy and Political Science at the Sanford School of Public Policy and Department of Political Science at Duke. She also holds an M.A. in political science from the University of Utah. Hunter’s research lies at the intersection of gender, international relations, and global health. Her dissertation explores the ways in which international policies, processes, and programs affect women in a local context. In particular she is examining the differential health outcomes of women and men from various international interventions, such as the US’s Global Gag Rule (which restricts foreign aid for reproductive health) and multilateral economic sanctions. At DGHI, Hunter has worked on two Bass Connections teams. 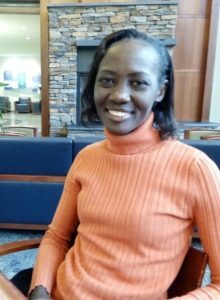 During 2017-2018, she was part of the Center for Health Policy and Inequalities Research team that conducted a health needs assessment of refugees in Durham. During 2018-2019, she has worked with the Center for Global Reproductive Health on their Big Data 4 Reproductive Health initiative, leading the stakeholder engagement team and presenting research at ICFP2018 and Women Deliver in 2019. 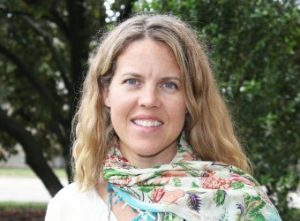 In 2019-2020, Hunter will continue her work with the Center for Global Reproductive Health as a DGHI Doctoral Scholar and will conduct field research in Kenya on the impact of the Global Gag Rule on women’s health outcomes. Ms. Ryan is a third year SJD student at Duke Law. Her dissertation proposes a feminist human rights based approach to abortion law and politics. Christine is exploring how feminist methods and insights can transform human rights law and practice on abortion and she explores this using an in-depth case study of abortion law and politics in Ireland. 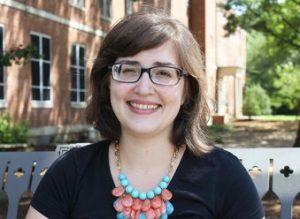 Ms. Ryan is a Fulbright scholar at Duke and a Graduate Fellow at the Kenan Center for Ethics. Prior to Duke, Christine worked as a human rights officer with the Irish Department of Foreign Affairs & Trade. She continues to work as a human rights consultant to Irish Aid and provides technical expertise on how the state can apply a human rights based approach in international development policy and practice. 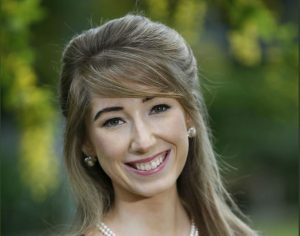 Ms. Ryan completed an LLM (with distinction) at University College London and an LLB (first class honors) at University of College Cork, Ireland.